Outside of Medford, a big sign tells passersby what’s behind the chain-link fence and warns them to stay out. 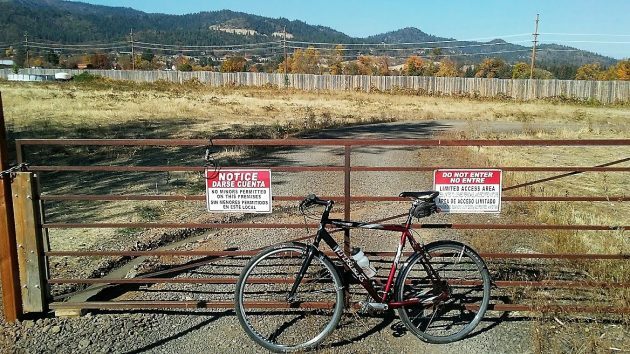 On one of my occasional bike rides outside of Jacksonville in Southern Oregon, I was struck by the proliferation of fences around what you’d think would be agricultural sites. The one at the top clearly announces that it’s a hemp operation, not to be confused with the more popular and conventional form of cannabis. 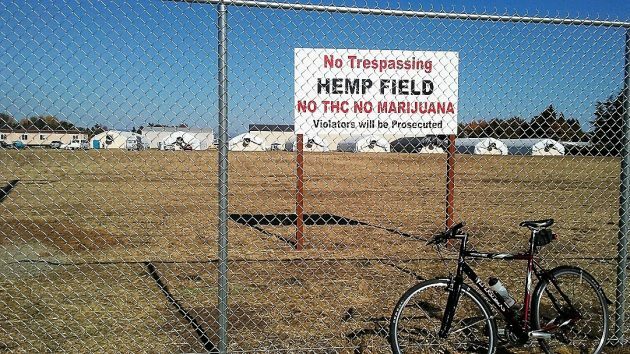 There’s nothing in hemp to get high, so there’s no point in users trying to scale the fence. They apparently don’t want you in there, or even to be able to see inside. 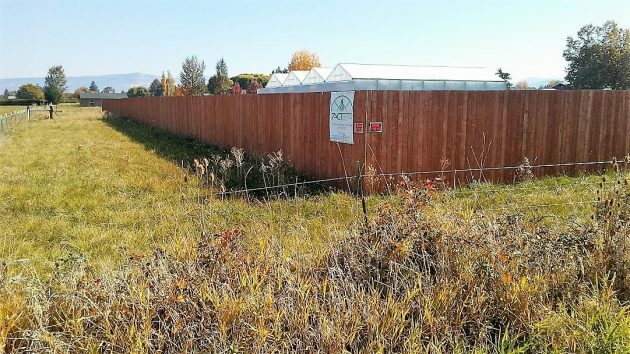 It may have to do with security or the OLCC regulations concerning the fencing of licensed recreational marijuana plantations. At another place, the signage on the locked gate (it was Sunday) was clear: No minors, and otherwise access is limited to only licensed personnel. All this may be necessary. 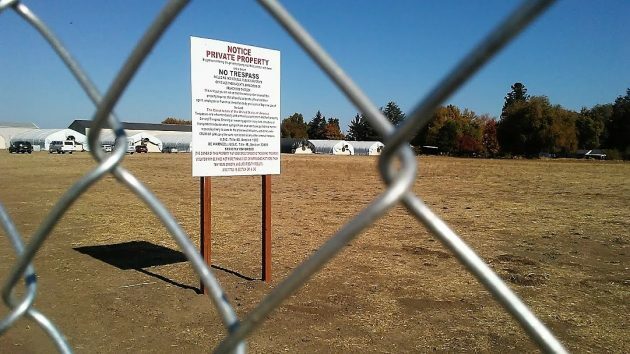 But I’m not sure anybody realized ahead of time that by changing the laws on industrial hemp and recreational marijuana over the last few years, we also forced some of our Oregon farms to be fenced off. Some nuts do need fences. I am wondering how many of these operations will have financial trouble in a couple of years. I am sure that once it is legal hemp and even marijuana, then it becomes more of an agricultural crop and the American Farmer will show the the current producers how to take the profit out of it just like they have other agricultural crops. They are efficient enough to over produce most things. We need to get a Democrat back in the White House so the hemp/marijuana crops can qualify for government crop subsidies. The government gives tons of cash to subsidize corn, soybeans, christmas trees and a myriad of edible Flora. Why not cannabis as well? Thanks Hasso, for exposing the hypocrisy of the Dept. Of Agriculture. No farmer that I know sets the sale price. Biofuels helped prices until fracking drove gas and oil prices down. Soybeans had a dependable market in China until the ongoing tariff-war. The chinese market didn’t go away. It’s now supplied by Brazil. They moved from sugar to soy. Thanks for the report from southern Oregon. Looks like you are enjoying the fine, bright, fall weather. The very idea that a property-owning entity would wish to insure it’s property lines from trespass is as old as barbed wire. Private property rights are nearly sacrosanct, with the exception of any real estate CARA is interested in. Over the past several decades, Hasso Hering has championed property ownership as basic to the American Way. As such, when Hasso bemoans the alleged slow-choking of farmland viewing availabilities due to fencing, it makes sense to wonder if Hasso’s gone socialist, or…was he secretly a socialist all along, but was forced by perhaps uncomfortable circumstances to sing the Corporate tune during his legendary tenure at the Democrat-Herald. If the landowners/farmers don’t post the property they leave themselves exposed to even more liability than if they had not done so. It may seem joyless to anyone familiar with an earlier time, when legal matters were settled with a .44, but joylessness is what’s making America great again. I imagine County Commissioner John Lindsey must feel the same as Hasso, pining for the days of swift, certain justice and the Free Range. It seems clear the Commish was looking for expeditious rectitude when he verbally lambasted the mayor in a public forum recently. Chalk it up to the times.